The Igeho Exhibition gave us a great opportunity to show our extensive range of name badges to the Hotel, Catering and Care Centre markets. It was a very busy and popular show and over the duration of the show allowed us plenty of time to meet new and existing clients especially for our local distributor Carole Hennessy. 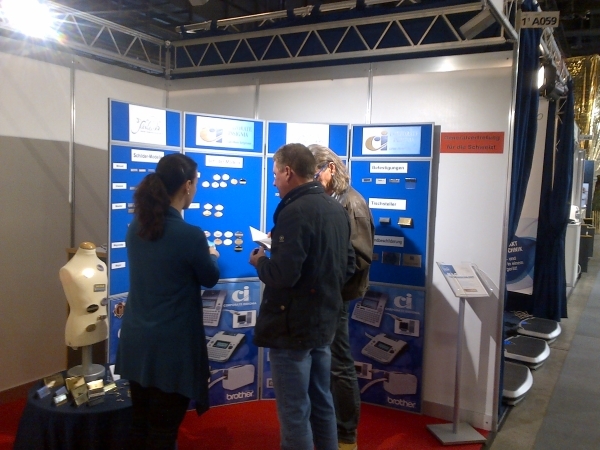 This picture shows Carole engaging and creating interest on the stand. 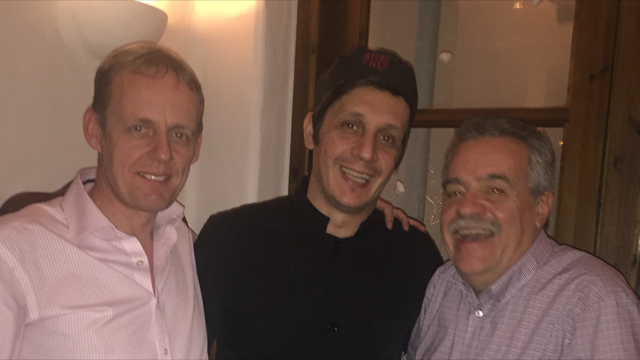 We were delighted to be exhibiting at the relaunch of the Xenia show in Athens. It proved to be an excellent show, with a fantastic array of top end hotel products and ideas, where our badges sit perfectly. 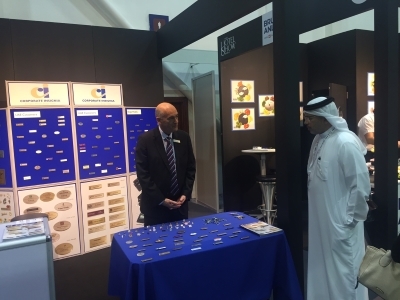 Corporate Insignia were again exhibiting their range of quality name badges at the Hotel Show in Dubai. Jim Kent MD and Gary Millerick General Manager were representing Corporate Insignia at the Show and both found this year’s show to be one of the best. 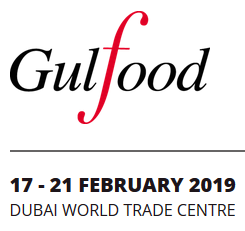 There was a good turnout of visitors to the exhibition with many high quality professionals from the hospitality industry. These included hotels, restaurants, developers and many small business users. As well as meeting new potential business clients it was also an opportunity to catch up with current customers to let them know we are in town and available for them for a meeting, chat or just a catch up and they can also see a larger range of our products on show as well as some new interesting ideas that may just suit their current needs. 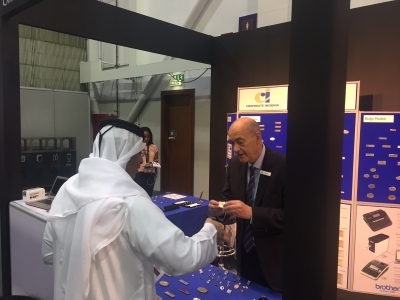 The show was an overall success with many quality leads to follow up on and we are already organising another trip shortly to follow up with samples and have face to face meetings.